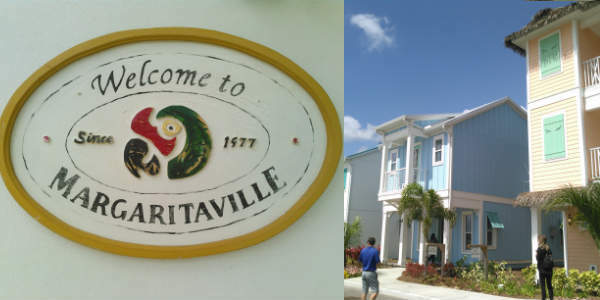 Last July, Margaritaville Resort Orlando broke ground and we recently were invited out to see the construction progress, plus tour four different cottage styles. The huge 187-room Margaritaville Hotel is still under construction, but the framework is already in place. In addition to accommodations, dining, fitness center, wedding pavilion, and 2 pools (general and adult-only), it will feature 30,000 square feet of meeting and event space. The resort complex will also have two zero-entry lagoon style pools. Nearby, there is land plotted out for 1,000 residential units including a mix of cottages, vacation homes, villas, and timeshare units. They had four different styles of cottages for us to tour, with 3 to 4 bedrooms each, and two- to three-stories. When finished, there will be cottages and villas ranging from 1 to 8 bedrooms. All will have full access to resort amenities, including a lake for water sports. Most of the bedrooms seemed to have a master bedroom layout. They were spacious and had their own bathrooms. Each cottage will be available with buyer’s choice of four Ethan Allen furniture packages, along with extras like a Margaritaville-branded hot tub. 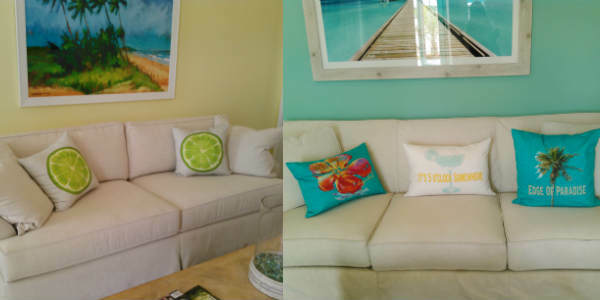 The attention to the little decor details will definitely sell this to those looking to live the Parrothead lifestyle. We also toured the retail, entertainment, and dining space near the front of the resort property that will host brand name stores, a movie theater, a Central Park with Live Music Pavilion, and dining venues like a Rascal Flatts-branded eatery. When done, this will be a massive and welcome addition to the vacation options available in the Orlando area.